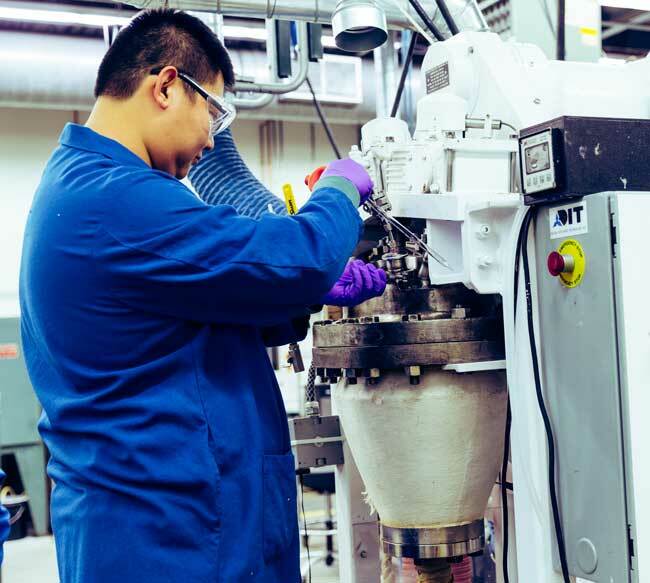 From testing in our lab to commercial-scale manufacturing, we have the R&D capabilities to quickly bring your tailored applications to market. NatureWorks brings over 25 years of expertise in lactide-based chemistries, and we have a dedicated group of scientists and engineers focused on customizing the new Vercet lactides and lactide intermediates for the C.A.S.E. market. We've invested in new labs and equipment for testing adhesives and coatings. We also have pilot equipment to enable customized synthesis on a scale from grams to kilos to commercial scale. Our investment is about committing people and resources to ensure an effective collaboration cycle with our customers.